Firstly, we will gently guide you, step-by-step, into your own mindfulness practice. We will achieve this by providing you with short and easy-to-follow exercises that build on each other. In sessions we will explore, rehearse and review the exercises so that you will be able to start practising on your own, straightaway. During appointments we also have a chance to go over additional explanations and illustrations, which will help you deepen your understanding of mindfulness in order to make it your own. The shortness of the exercises, in particular, will enable you to integrate mindfulness into your busy life and stick with it long-term  for life. Secondly, the various exercises and practices are specifically designed to promote a practical approach to mindfulness, which makes it relevant and useful for you in every-day life. Mindfulness is much more than just meditation for which you need a special time and place. Our sessions and written resources are deliberately kept free of unnecessary jargon and distracting stories and myths around the actual practice of mindfulness. A range of handouts and worksheets, introduced and discussed during appointments, will serve to support and sustain you in your practise between sessions and beyond the end of our direct involvement in your learning process. Often we react quite automatically to lifes inevitable challenges with resentment, distress, tension and the strong urge to fix or forget what seems to cause us trouble. This happens when being exposed to certain people, situations or circumstances, including our own difficult or painful thoughts, emotions, memories or physical pain, discomfort etc. These reactions represent natural and deeply ingrained self-protection mechanisms, which - unfortunately - turn all too often against us when being constantly triggered by today's stressful environment. Fortunately, the practise of mindfulness is THE antidote to automatic and unhelpful reactions to challenging life events, in particular. Mindfulness is a powerful combination of mental skills, which allow you to "rise above" your otherwise automatic survival reactions. Taking control over your attention, attitude and actions will enable you to achieve an optimum of clarity, calmness and control whenever stress cannot simply be fixed or forgotten. Since the 1970s scientific research has consistently confirmed the benefits of mindfulness from everyday stress management to severe health problems. 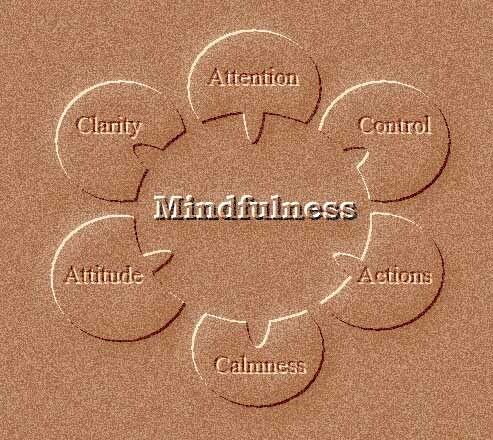 Your BWELL mindfulness teacher has 30 years of experience with this approach. He can teach and help you to build and cultivate your personal mindfulness practice up to your chosen skill level. He can assist you towards applying mindfulness as a simple, yet effective response to stress, or he can support you in developing a more comprehensive practise, which will enable you to maximise your effectiveness, efficiency and well-being in every-day life. If you are an advanced mindfulness practitioner, he can develop the practical day-to-day aspect of your journey of self-exploration in order to complement the more traditional meditation approaches you probably have been already exposed to.